The overall goal of this summer science camp was to work with local Bahamian educators to promote scientific literacy and awareness in the Exuma Cays, Bahamas. We wanted to expose students to the fundamentals of the scientific method and have them start to design and complete their own experiments. 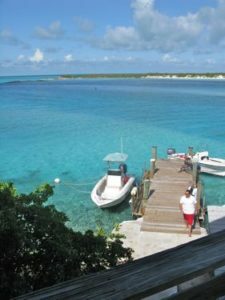 This camp was established through a collaborative effort between the University of Florida, Young Bahamian Marine Scientists, University of Miami, and the Danguillecourt Project (http://tropicbirds.org). Here is an overview of the activities we planned for the science camp. We tried to balance traditional lectures with creative, engaging activities that reinforced the scientific concepts. On the final day of the camp we invited parents and members of the local community to hear students presentation. Students were asked make a presentation about something they learned about in camp. Here are examples of some of the student presentations. Written by Jamal Williamson and Theodore Bastian Students learned about DNA and how it can be used to identify organisms. Written by Simeon Bain and performed by Simeon Bain, Jamal Williamson, Juwan Rolle, and Vardo McKenzie. We would like to thank the YBMS program for providing the logistics and financial support for the student transportation and food for the camp. 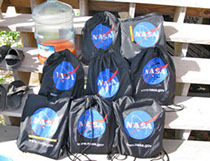 We would also like to thank NASA and the Summer of Innovation program for providing some of the educational materials that were used in the camp curriculum. The Galileoscope used in the Community Stargazing evening were donated by Jaydeep Mukhergee and the GE Foundation. Lastly, we would to thank the Little Darby Research Station director Pam Reid for donating the use of the lab for the camp activities.